This 2018 fashion trends are nothing if not bold, bright and really quite beautiful. Shifting form the over the top boom, there's a prettier, more subtle mood in the air, and girls that like to dress up and feel elegant will be happy. Tomboys and minimalists will also be very pleased with lots of tailored suits pieces and flat shoes everywhere. 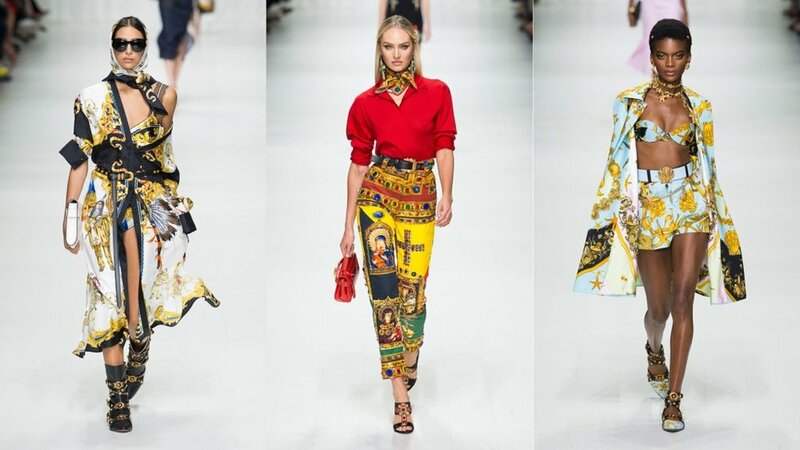 Designers have been fully inspired by the 1980s this season, with strong shoulders, long lean legs and nipped waists. With the 80's you can really go as you like. You can go for the evening wear look like in the Saint Laurent runway or just plain mom jeans and white ankle booties. One of the other biggest pieces seen at the past fashion weeks were trainers! 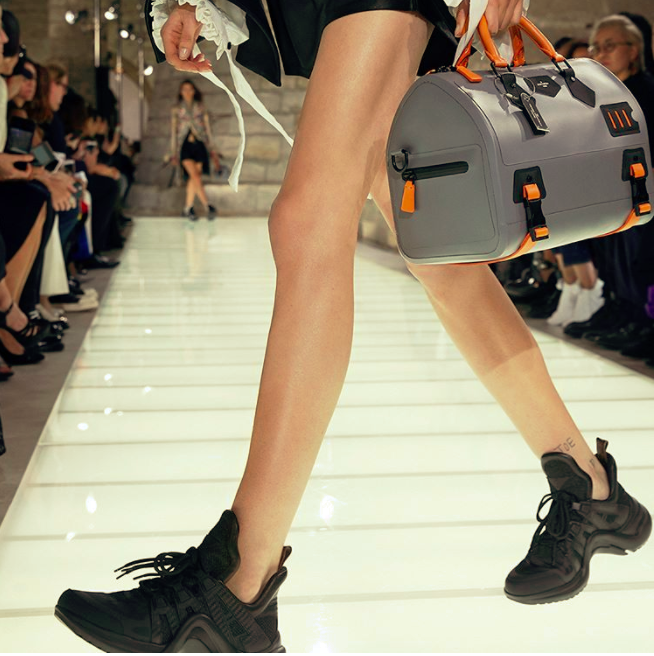 It seems like we will be in flat-shoe heaven this season with such designers as Nicholas Ghesquiere's futuristic trainers he designed for Louis Vuitton and Prada with there socks and velcro sneakers that turned heads on the runway. If there is one thing worth investing in, it's a perfectly tailored suit. If you are looking for someting a little differernt in the suit area, go and take a look at Chloe's velvet suit that will become a street style phenomenon, and if you want something more subtle take a look at Regina Pyo that designed lovely, wavy and feminine suits for the runway. Lots of designers continued the trend of feminine ruffles this that was a thrive at the AW17 runways. Ruffles and frills again dominated the runway shows with designers exaggerating puffy tulles with cascades of ruffles and frills. Thornton Bregazsi and Simone Rocha continued their exploration of femininity with huge frills on silk elegant dresses that added volume and dimension to a female body. Once again denim has conquered all. From denim boots to denim hats, this spring and summer hottest trend would have to be denim. Easy to match and style for a grungy underground with biker boots and oversized jacket and jeans or for a most subtle feminine look with a denim skirt and stilettos, denim is the most verstile trend that is out there.